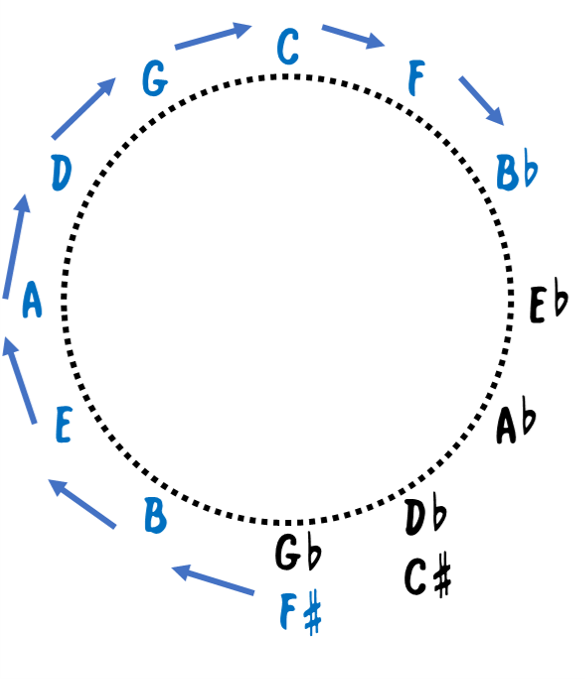 To clarify, the circle-of-fifths (which seems to be more common in music education) moves clockwise up a perfect fifth interval, while the circle-of-fourths (see the top image) moves clockwise up a perfect fourth interval. 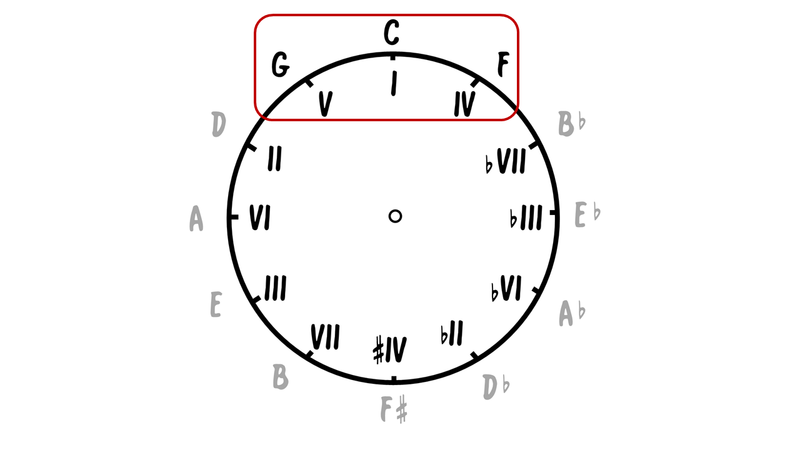 If you’ve already learned the circle-of-fifths, it’s going to initially be a little awkward memorizing the circle-of-fourths (like memorizing the alphabet backwards). But it’s super-helpful when learning jazz tunes and theory because so much of jazz harmony moves through circle-of-fourths progressions. 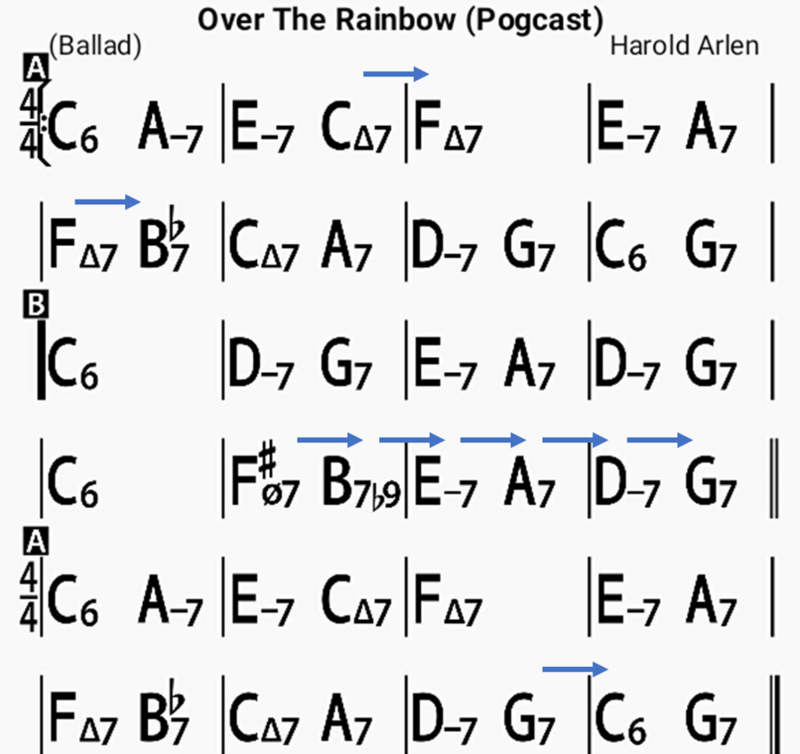 I’ll talk more about this in future episodes, but for now I want to show you how it works in “Over the Rainbow.” Note that the iRealPro chart used below (shown in C Major) is available as a Patreon exclusive. The blue arrows represent a circle-of-fourths movement. There are several movements from C-F, then F-Bb. At the end of the ‘B’ section, there’s a long fourths-based progression: F#-B-E-A-D-G-C. 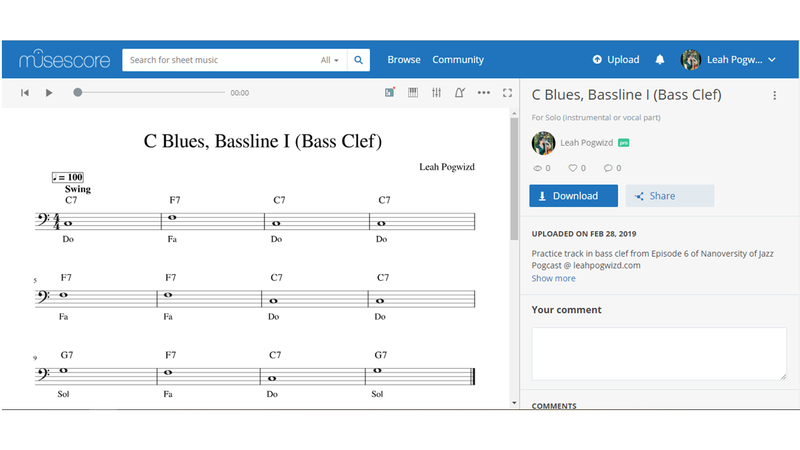 The only time the progression moves up a fifth is at the very end of the ‘A’ section, when it moves C-G.
A lot of the “hacks” I’m going to show you on the Pogcast are learning the underlying structures of jazz so that you can “chunk” information (memorizing one set of information, rather than 12 different keys). Learning the circle-of-fourths is crucial to building this kind of understanding. Author Leah PogwizdPosted on June 27, 2018 Categories QuestionsLeave a comment on Dear Nano: Why Circle-of-Fourths?